Hasn't this weekend been beautiful? The weather has been incredible in the UK. 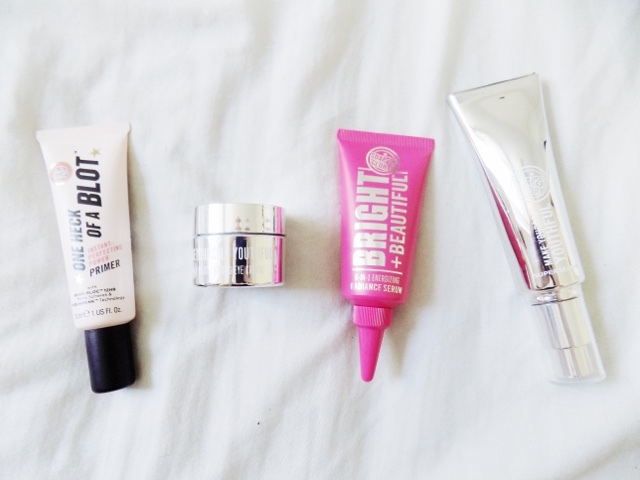 I ordered a few things from Boots.com and as my love for Soap & Glory continues to grow, I just had to pick up some new products from them. What's even better is that they are having a buy one get one half off offer which is another Eason why I love the brand, they have some great offers on a regular basis. First I was in desperate need of replenishing the Make Yourself Youthful Super Serum which is such an amazing serum considering its £20 from the drugstore. It's light and refreshing and sinks into the skin really fast and it's probably hydrating enough to use on its own if you're feeling too lazy to put moisturiser on too (although I always put moisturiser or a treatment or whatever on afterwards). I also needed a new eye cream and thought I would try the Make Yourself Youthful Rejuvenating Eye Cream which is much thicker in consistency to the HydroBoost Eye Cream that I've been using for a few months and although the they're tiny pots your barely need any so they last ages. It's £14 which is only £1.50 more expensive than the HydroBoost. On first application, it felt so hydrating on the skin and makes my under eyes feel so soft and just moisturised. Definitely loving it so far. 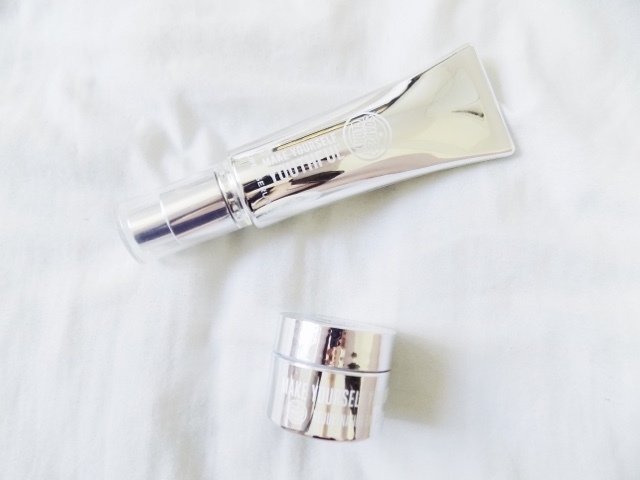 Plus, how cute is the silver packaging on the Make Yourself Youthful range - it's just difficult to take photos of as you get reflections from every angle. 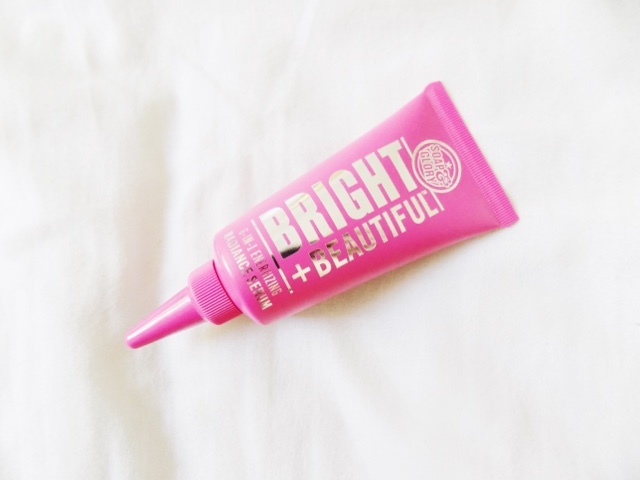 S & G have also come out with the Bright + Beautiful 6-in-1 Energizing Radiance Serum which is in this bright pink squeezy tube. This is said to blur dark spots, brightens the skin and gives your skin a beautiful glow. For only £13 it was a no brainer. I have already fallen in love with this. It gives a beautiful glow, sinks into the skin super fast and just makes my skin feel smooth. It also has a slight iridescence to it which just makes your skin look energised and radiant. Keen to see how this works on my skin after a few weeks of using it. 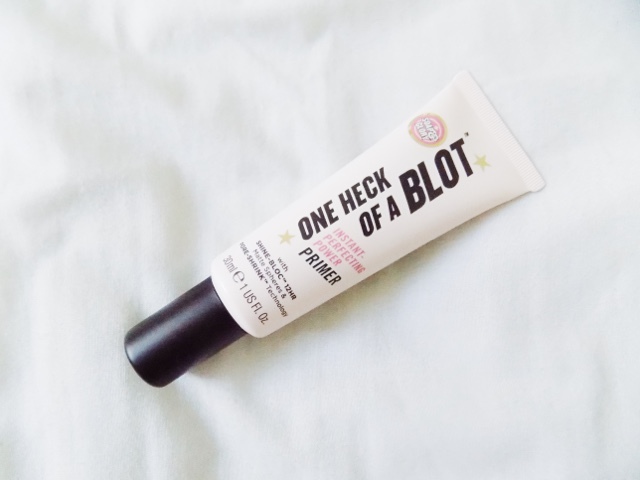 This brand new product is the Soap & Glory One Heck Of A Blot Instant-Perfecting Power Primer which costs £10 and is supposedly going to keep your shine-free all day, reduce appearance of redness, hide imperfections and even out skin tone. Plus it has vitamin E to give you a nice glow. I've used this a couple of times and so far it feels really nice and smoothing on the skin, similar to the Benefit Porefessional but it's a light pink/peach shade which doesn't translate on the skin but it just makes your face feel so awesome. I am really looking forward to trying this out in a few other ways like over makeup etc. and this will definitely be appearing in a face off soon, can you guess what I will be comparing it against? 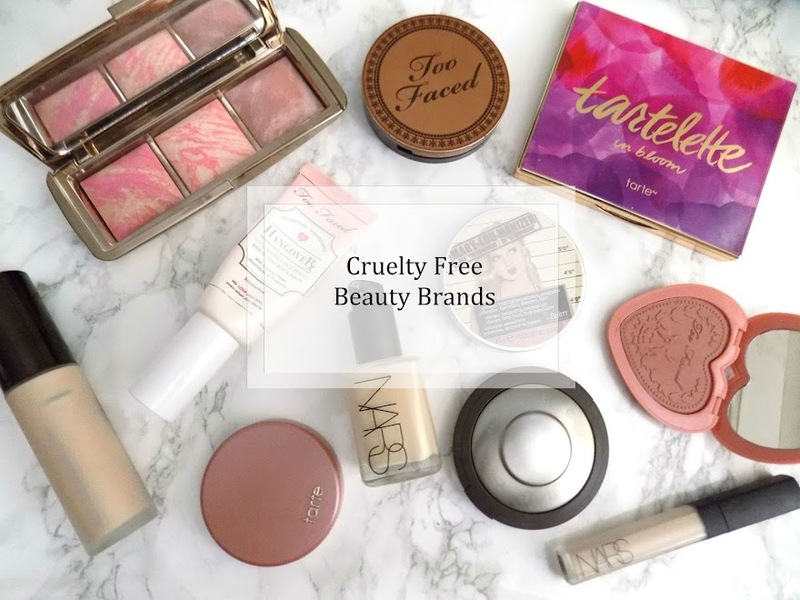 I'm sure you will be seeing these in upcoming posts so let me know what your favourite products are. I also bought a few extra bits on a quick stroll into town with the boyfriend as I dragged him into Boots. I recently dyed my hair back to red, I love having red hair and so I wanted to pick up a dark but still bright red. I also picked up some colour before stuff to light. The end of my hair so when I put this hair dye on it looks like it does on the box. 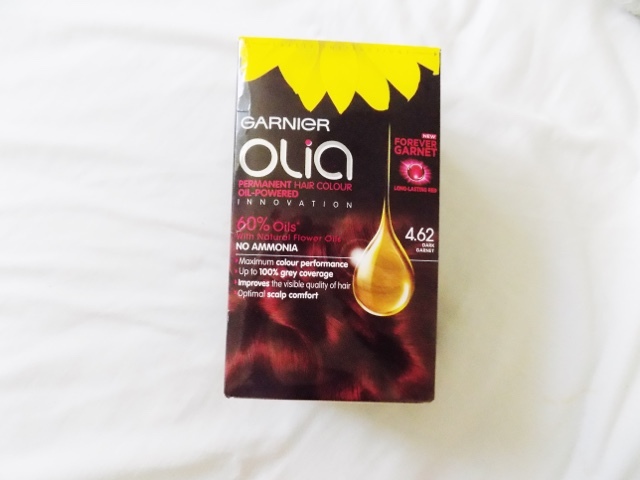 I love this Deep Garnet shade from Garnier's Olia Hair Dye Range. 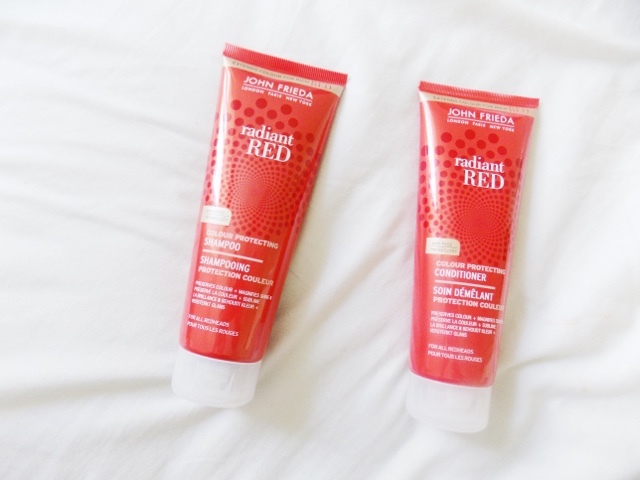 To make sure my hair stays red I picked up the John Freida Radiant Red Shampoo & Conditioner which preserves colour, magnifies shine and amplifies the rich tones. I can't wait to see how these work on my hair. Just thought I would throw this in too. 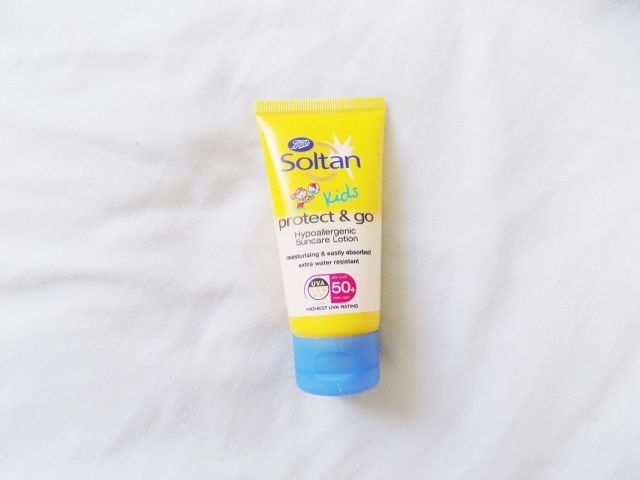 A little Soltan Kids Protect & Go Sun Cream SPF 50 as I forgot my regular one as I didn't think I would need any SPF for my body as its been raining and miserable for the last few weeks. But I am getting much better at putting sun cream on and protecting my skin. Plus it's good to have in my bag or in the car just in case. 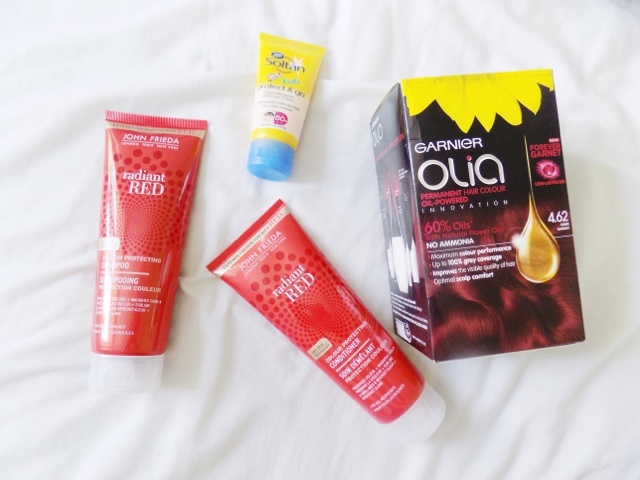 I know this is a bit of a random group of products but I thought I would throw in these extra hair care products to show you the colour that I am aiming for and the products that I am using. What do you think of these new products?